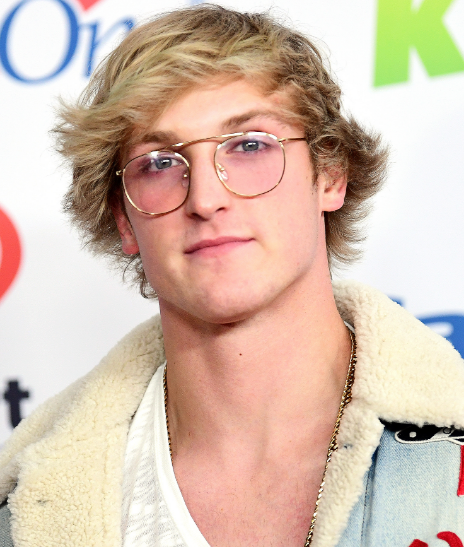 22 Years, Logan Alexander Paul popularly named as "Logan Paul" is an American actor, film director, Internet celebrity, screenwriter, rapper, and white-collar boxer. He rose into fame after sharing videos on "Vine". He made his guest appearances on Law & Order: Special Victims Unit and Weird Loners. He is a very charming and talented actor. From the small age of 10, he started creating videos and posting on YouTube on the channel named Zoosh. Logan is one of the most popular and influential Vine stars. Because of his series of goofy and hilarious short videos. On 1st April 1995, Paul took birth in Westlake, Ohio, U.S. He was born to Greg Paul and Pam Stepnick. He also has a brother named Jake. Paul attended Westlake High School. Later he graduated from Ohio University. By occupation, he is Actor film director Internet celebrity rapper screenwriter white-collar boxer. His birth sign is Aries. His religion is Christianity. Charming YouTube Star, Logan has got a tall height of 1.88 m and weight of 82 Kg. His eye color is Dark Brown and hair color is Black. Paul started his career by sharing the video on "Vine". In February 2014, he had over 3.1 million followers on various social media. In April 2014 he had gained 105,000 Twitter followers, 361,000 Instagram followers, 31,000 likes on his Facebook page and about 150,000 subscribers to his YouTube channel. In the year 2015, he was ranked as the 10th most influential figure on Vine, with his six-second videos earning him hundreds of thousands of dollars in advertising revenue. In the October, his single Facebook Videos earned more than 300 Million views. "TheOfficialLoganPaul" is the YouTube account used by Paul to upload short films and comedy sketches. Paul also posts a daily vlog to "Logan Paul Vlogs", uploading every day from September 12, 2016, to January 1, 2018. As of 2018 January 10, he has 15.7 million followers in his Vlog Channel. In the year 2015, he appeared in Television series named Law & Order: Special Victims Unit and later appeared in Fox TV Series, Weird Loners. In the year 2016, he appeared in the YouTube Red Movie "The Thinning". Paul wrote the screenplay for an adult comedy, Airplane Mode, which has been described as "American Pie for Gen Z". Comcast purchased a short form digital TV series from Paul called Logan Paul VS in the year 2016. From the 2017 film Baywatch there is a deleted scene of Paul which was cut. On 24th February 2018, it was announced that the Paul brothers would be fighting the Olatunji brothers (KSI and his younger brother Deji, also known as Comedy Shorts Gamer) in a series of boxing matches, with Logan boxing Olajide in one match and Jake boxing Deji in the other. Paul released his new single, "No Handlebars" on 23rd November 2015 which was heavily criticized for its perceived sexual objectification of women, including a scene in its music video where Paul rides several women like a bicycle. On 31st December 2017, Paul uploaded a vlog to his YouTube channel depicting the recently deceased corpse of a man who had committed suicide by hanging in Aokigahara at the base of Mount Fuji in Japan, known as the "suicide forest" due to its infamy as a suicide site and this video gained 6.3 million views within 24 hours of being uploaded. Paul was criticized for posting the video by celebrities and politicians. On 1st January 2018, Paul removed the video from his YouTube channel, following up with a written apology on Twitter. His net worth is estimated to have around $15 million as of 2018. His salary is still to get unfold and will be updated soon. Logan is still single and he is not married yet. Previously, he is in a relationship with model and vine star, Jessica Serfaty. She has participated with Logan in several videos. Presently, he is dating actress, Chloe Bennet. They are living a happy life and there is no sign of separation between them. More information about Logan Paul can be obtained from Wikipedia. He has a pet parrot, named Maverick. He endorses the brands like HBO, PepsiCo, Hanes. He rose into fame as a star on the internet video sharing service Vine. 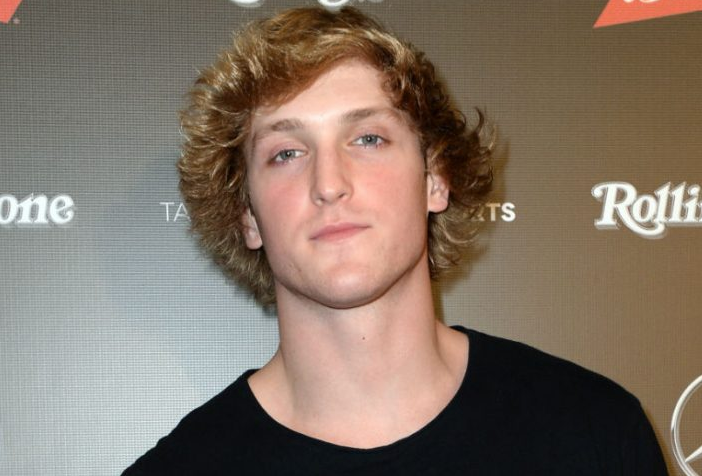 His fan family is referred as "Logang". Logan Paul got the scholarship to attend the University of Ohio. Social media phenomenon best known for his incredibly popular Facebook account, which has earned over 15 million likes. He landed a starring role in an AwesomenessTV web series titled Foursome in 2016. His YouTube channel has over 18 million subscribers and he has over 16 million followers on Instagram. Pepsi selected him to participate in a Vine based advertising campaign.